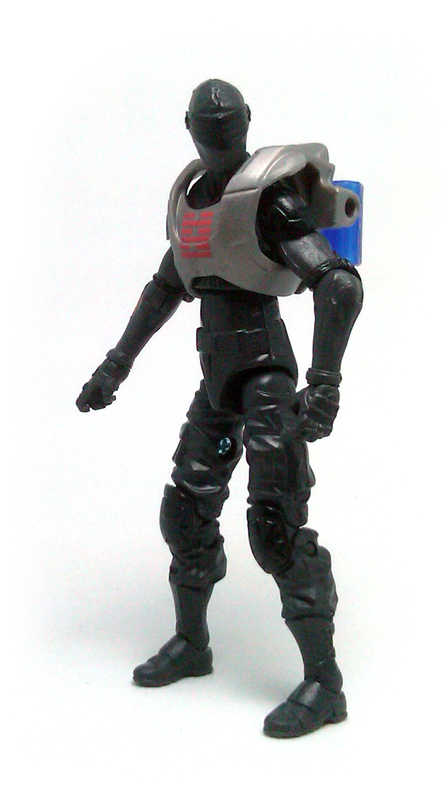 While the version of Snake Eyes included in the first wave of figures from the G.I. Joe Retaliation movie line is not a bad one, unfortunately it is not anything special either. The upper torso has very nicely sculpted details, from the ripped muscles to the stitching on the front and back of the chest piece. The mask design seems to be based on the one used for the second version of the character from the Kenner days, with the grill covering his eyes. From the rib cage down, the sculpting is rather unremarkable despite the amount of detail present. Both his wrists bend up and down instead of having the left one going in and out, which I think is a good decision on Hasbro’s part, but this time I am reminded of why I am not really a fan of rocker ankles on G.I. Joe figures. 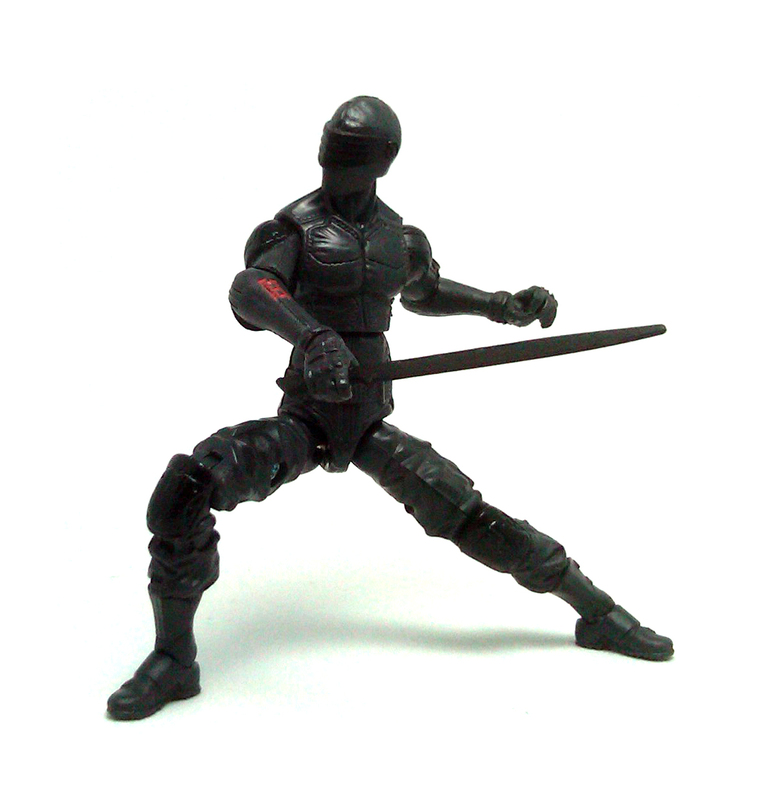 You’ll see, at a resting stance, both of Snake Eyes’ feet point inwards in a very distracting way. This is not as evident in any other type of dynamic pose, but as it is I think it hurts they way the figure looks. The problem is that since the G.I. 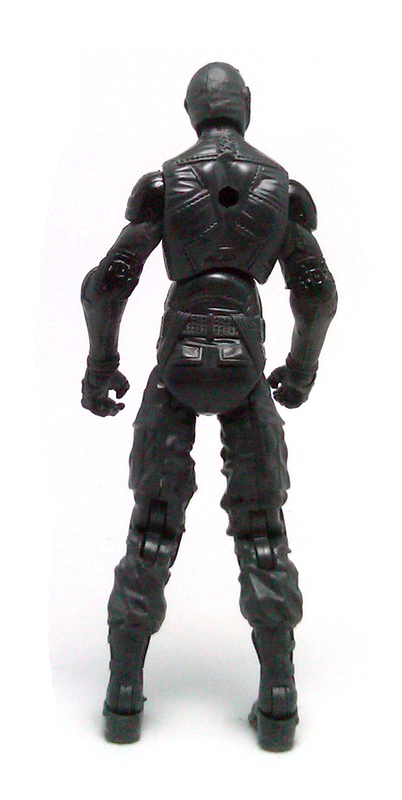 Joe figures lack any other type of sideways swivel in their leg design, there is no real way to correct the pose than having Snake Eyes perpetually standing with the legs spread wide apart. 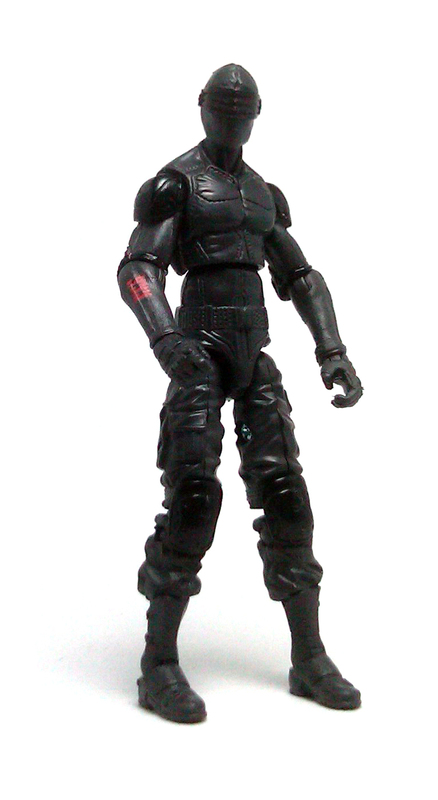 Snake Eyes is entirely molded in charcoal gray plastic, with only seven gloss black paint applications on him as well as a small Arashikage symbol stenciled in red over his right forearm. Although the color palette is certainly adequate for the character, truth is it does nothing in terms of enhancing the visual impact for the toy. 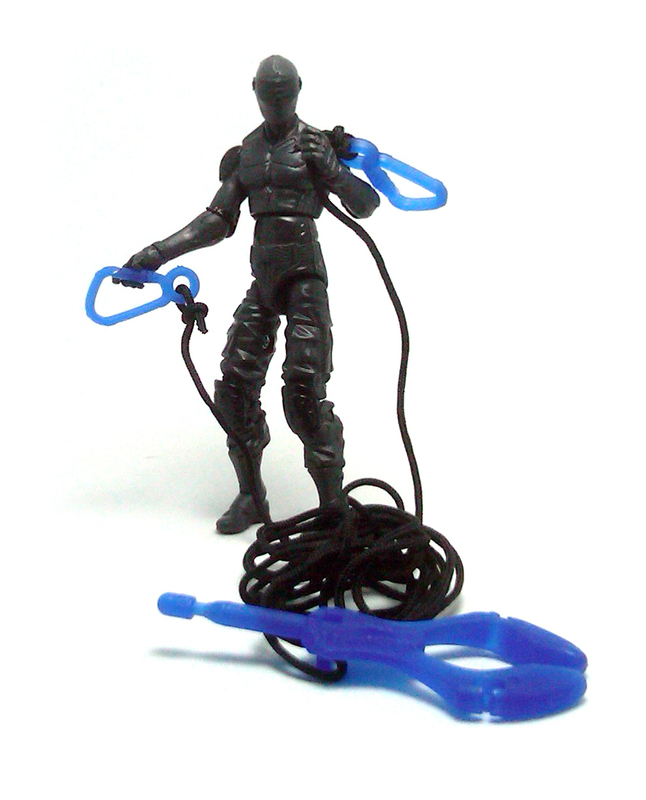 And speaking of toy-like features, Snake Eyes comes with a silver plastic harness that connects to a couple of wing accessories molded in a medium blue color. 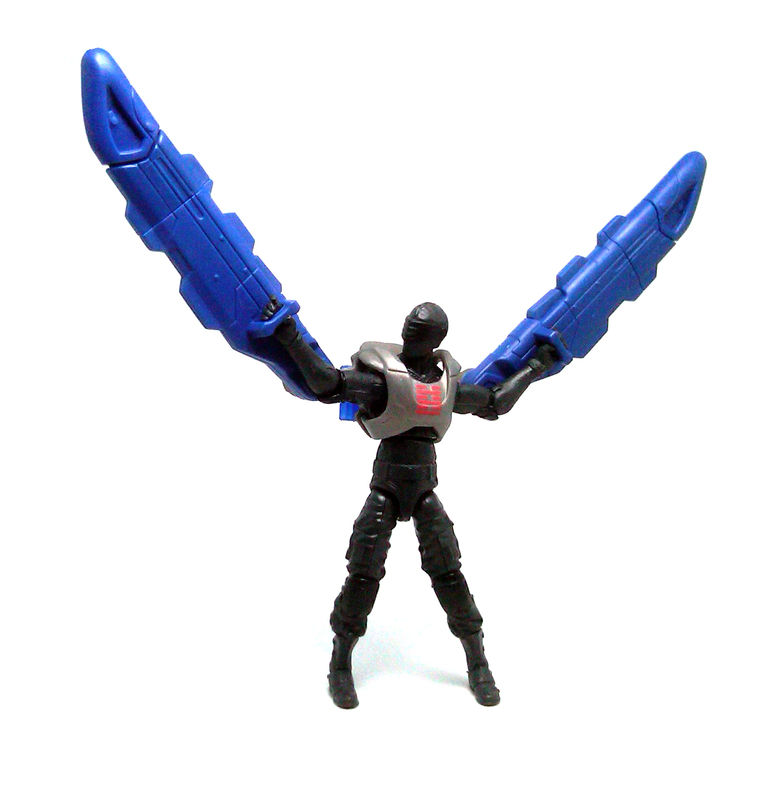 These wings are actually spring-loaded launchers that fire their tips at the touch of a button. Also included is a length of cord that runs through a loop on a projectile-like piece, with each end knotted to a plastic clip. 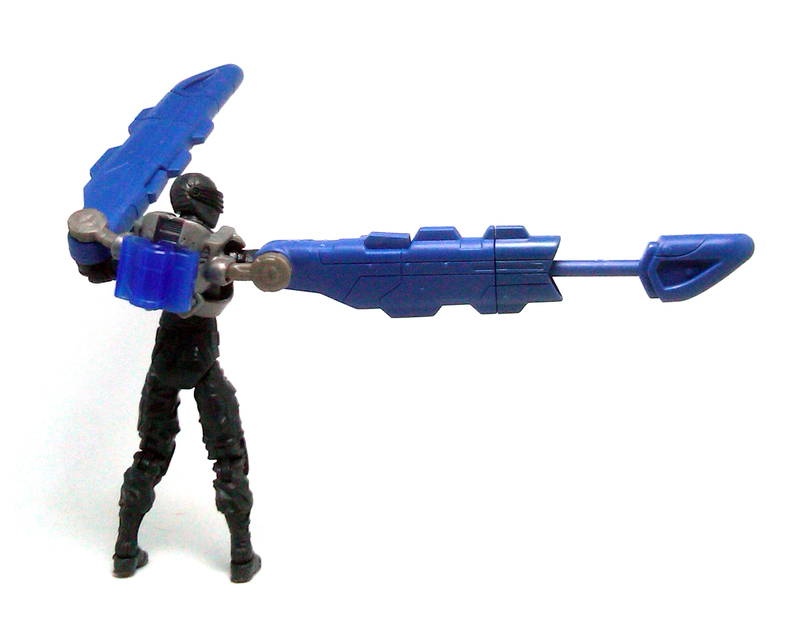 The “normal” weapons for Snake Eyes are a futuristic –looking submachine gun, molded in the same color of blue as the wing pieces and a black sword. One other point of contention I have with this figure is the lack of a scabbard or a holster to carry these accessories. 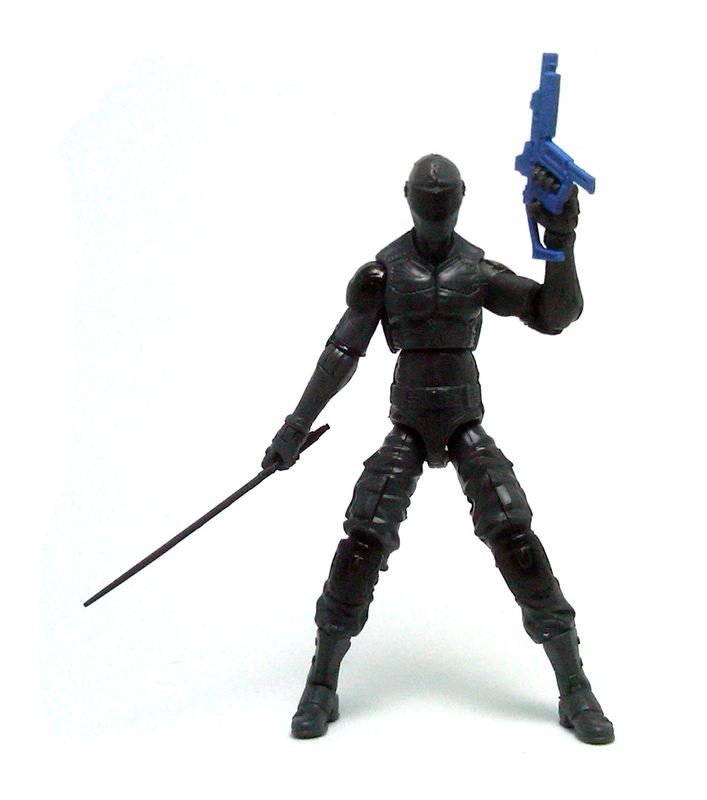 Normally, when I grade a figure leave out the gimmicky extras they may have, but doing so with this version of Snake Eyes means that all I have left to work with is a plain-looking, scrawny ninja commando with a sort of cool sword and a rather farfetched gun. So, while this is not a truly horrible figure to get, you may want to wait for the better versions that are due to come out from this line instead.